Chewy dairy free gluten free brownies with sea salt and dark chocolate. 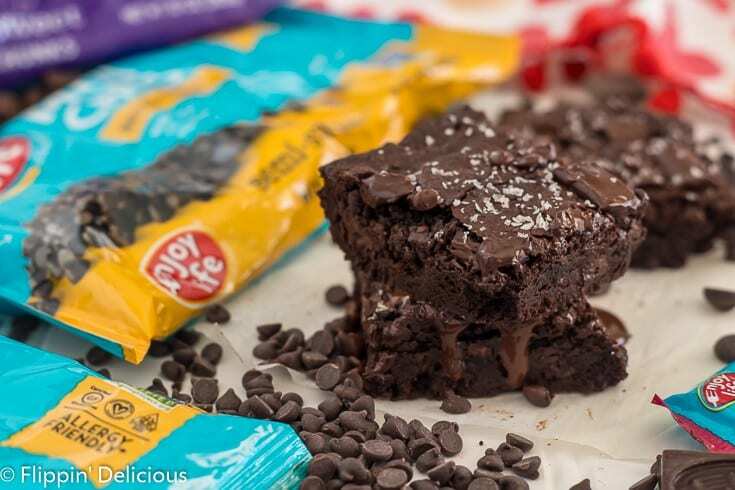 There is melted chocolate in the batter, plus it is loaded with chocolate chips, morsels, and chunks and finished with a sprinkle of flaky sea salt. On a whim, I decided to make gluten free brownies this past weekend. 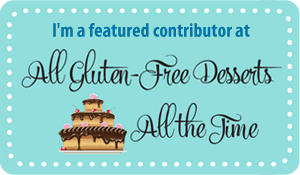 I’ve always loved gluten free brownies! 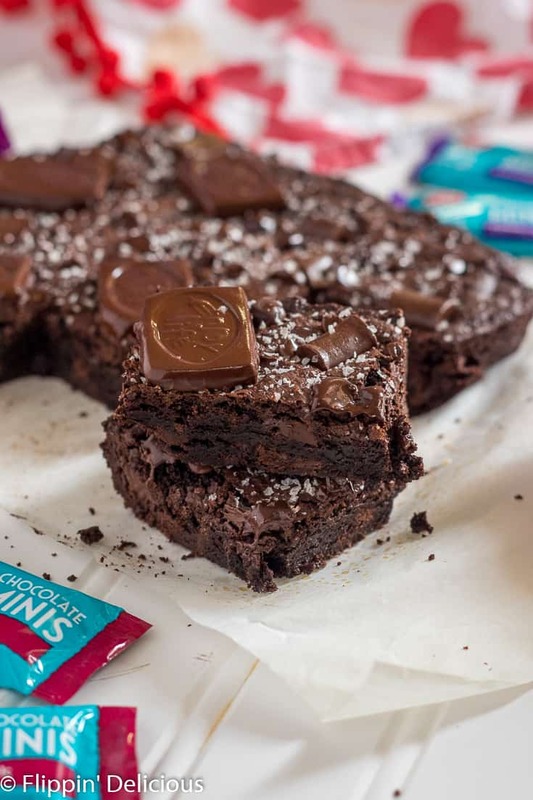 I’ve tested dozens of recipes to try and create the perfect gluten free brownie. 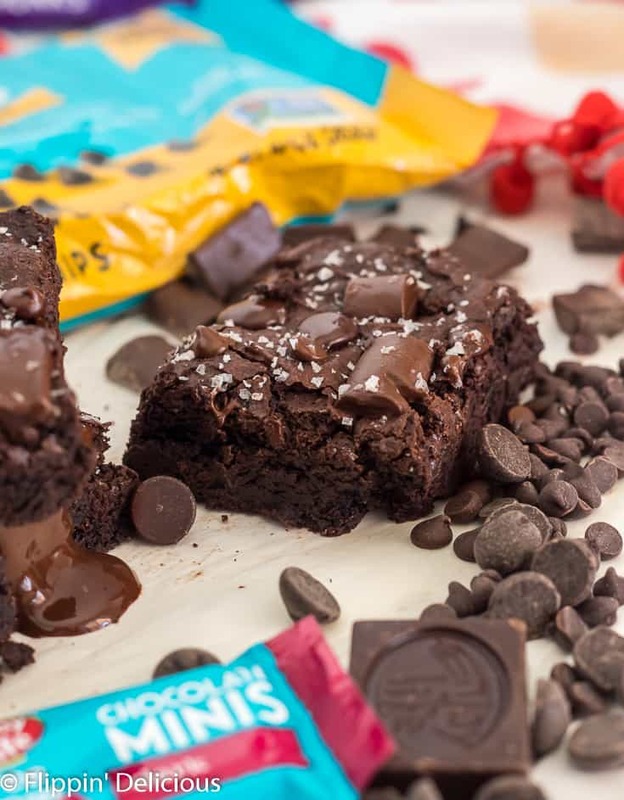 For me, all of these items are a must in a gluten free brownie. 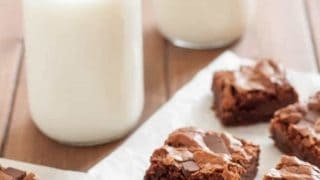 My go to recipes are my Fudgy gluten free brownies, and chewy gluten free brownies. I was mixing up a batch of my gluten free brownies with almond flour when I had a thought. I’ve made gluten free mint brownies, gluten free peanut butter brownies, and I’ve even made gluten free red velvet brownies. For some reason, I had never thought to make gluten free sea salt and dark chocolate brownies. So as soon as I put that pan of brownies in the oven, I started tweaking it to make these rich and fudgy gluten free dark chocolate salted brownies. One thing that I love about my chewy gluten free brownies is that they start with melted chocolate. Any gluten free brownie using melted chocolate has got to be good, right? 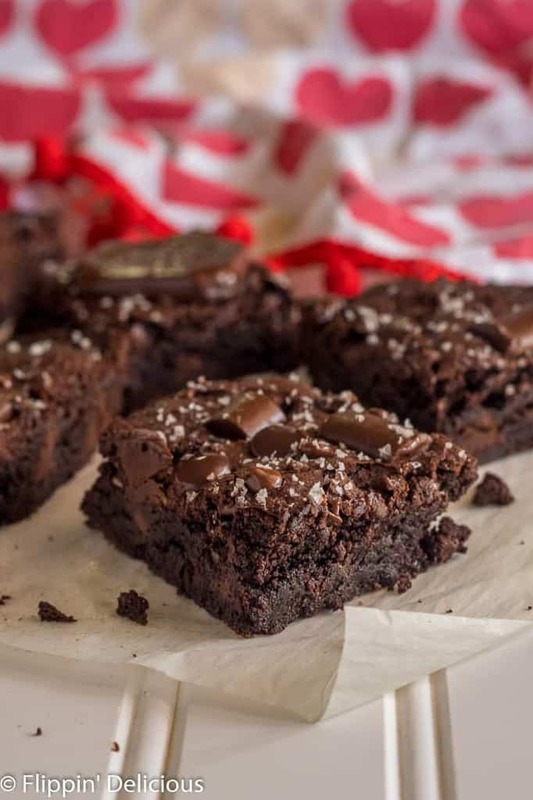 What is special about these gluten free brownies with salted dark chocolate? They have melted chocolate, cocoa powder, and all of the chocolate chips and chunks. These brownies are nut free, dairy free and gluten free with a vegan option. Coarse salt in the batter leaves little pockets of saltiness without it tasting like an ocean. Flaky salt on the top adds the perfect finish. This post is sponsored by Enjoy Life Foods. As always, all opinions are entirely my own. My pantry is always stocked with Enjoy Life’s Baking Chocolate because I know it is safe for everyone in my family because it is gluten free and dairy free and tested for all top 8 allergens. 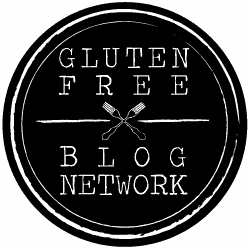 How do you make gluten free brownies allergy friendly? I wanted to tweak my original recipe to make it more allergy friendly. 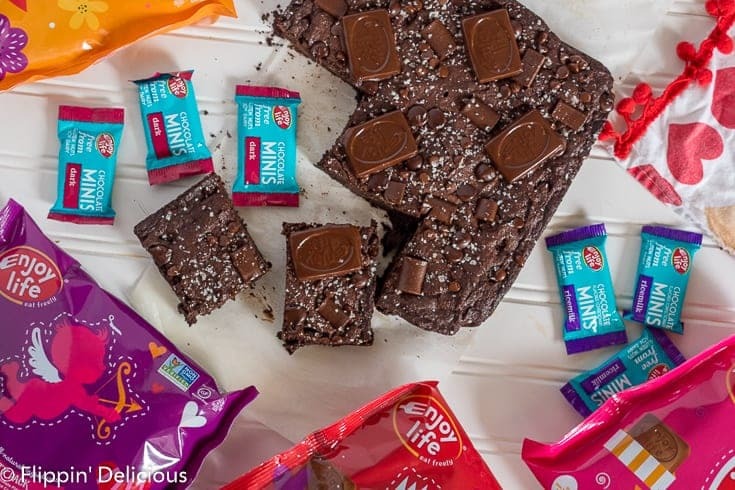 Enjoy Life Food’s Baking Chocolate is gluten free, as well as free of the top 8 allergens so it is my go-to for all of my baking. It keeps these gluten free brownies dairy free! I also took out the almond flour (to make them nut free) and added a little more flour and some cocoa powder to give my gluten free brownies the perfect chewy bite as well as a super dark chocolate taste. Who doesn’t love chocolate? I loaded my batter with Enjoy Life’s Mini Chips, Dark Chocolate Morsels, Mega Chunks, and Chocolate Minis. You certainly don’t have to use four kinds of vegan chocolate, but my pantry was fully stocked so I thought, why not? 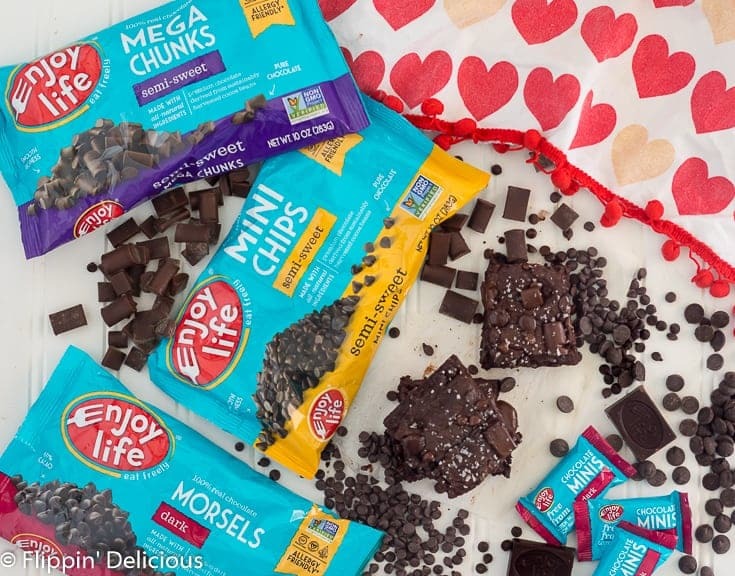 My kids and I were starting to work on Valentine’s projects and were snacking on Enjoy Life’s new Valentine’s Chocolate Minis, so they were handy. I used the semi-sweet Mini Chips to melt for the batter, but you could also use the Dark Morsels if you prefer. How do you make gluten free brownies with melted chocolate? First, melt the chocolate with the oil. I have done this in a saucepan on the stove top, or using a microwave safe mixing bowl and heating for 30 second intervals. Add the salt and sugar, then mix. 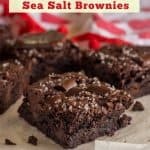 I used coarse sea salt because I knew that it would leave little salty bits in my gluten free brownies without them being too salty all over. Make sure your gluten free brownie batter has cooled to room temp before you add the egg substitute, or eggs. Mix in the cocoa and the gluten free flour. It is really important you measure your gluten free flour and cocoa by scooping the flour into a measuring cup with a spoon (don’t scoop with the measuring cup directly, you’ll pack in too much flour) and then level off the top. The last thing to do is to add all of the chocolate chunks and chips. I used about 1/3 a cup of chocolate, sprinkling about 1/4 cup into the batter and the remaining on top of the brownies before they go in the oven. I also added a few Dark Chocolate Minis, just to up the intensity. Everyone fought over those pieces! 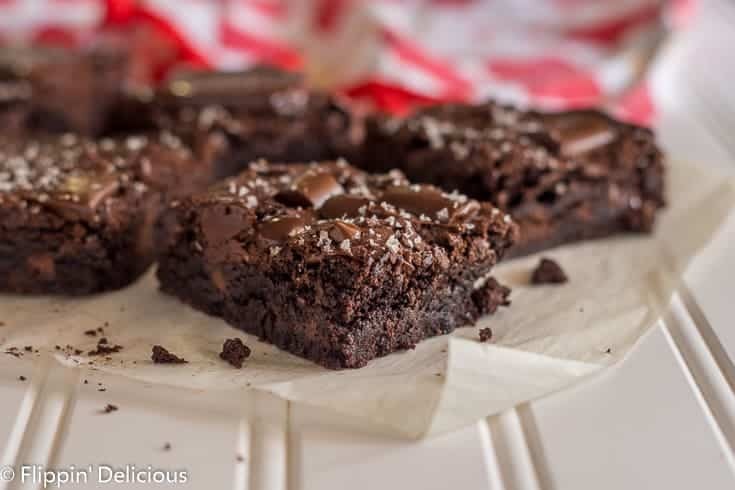 A sprinkle of flaky or coarse sea salt not only makes your gluten free brownies sparkle, but it adds the perfect bursts of salt to balance out all of the chocolate. 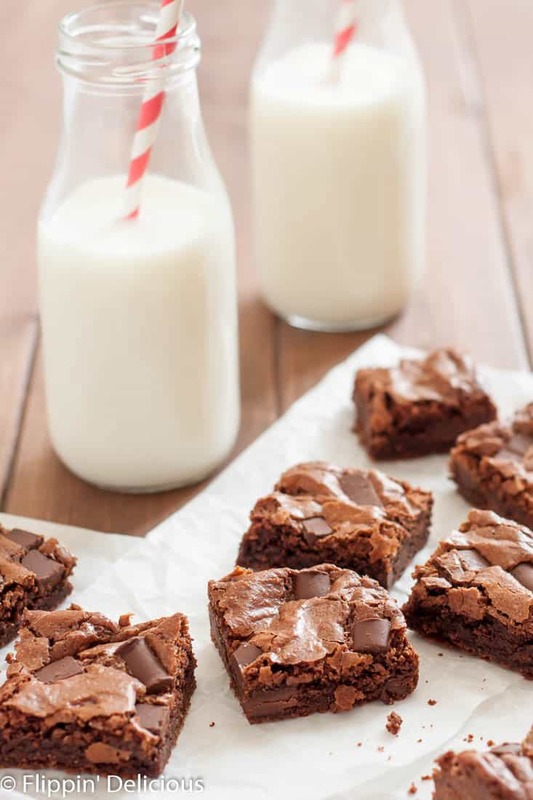 To make it easy to remove your brownies from the pan, you can cut a piece of parchment paper and use it to go across the bottom and over two of the sides of the pan making a “sling”. 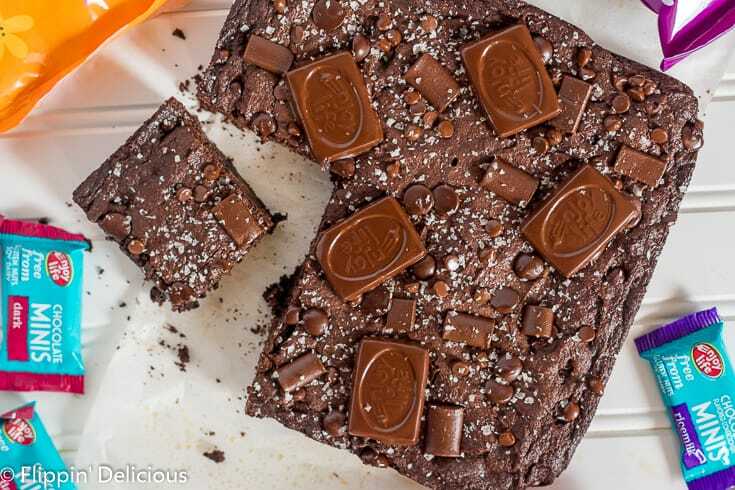 You can also cut and serve your brownies straight from the pan. Let your brownies cool slightly before you try cutting them so they have a chance to set. Something about dark chocolate and sea salt seems romantic to me. Valentine’s Day and chocolate just go together. The sprinkle of sea salt brings balance to dark chocolate while adding a touch of elegance (while still being kid friendly)! If you are looking for another easy indulgent chocolate recipe for Valentine’s day I think you’ll love this Easy Chocolate Pudding Cake from Tessa at Salted Plains. Here are some other chocolatey recipes using Enjoy Life’s Baking Chocolate I think you’ll love too. 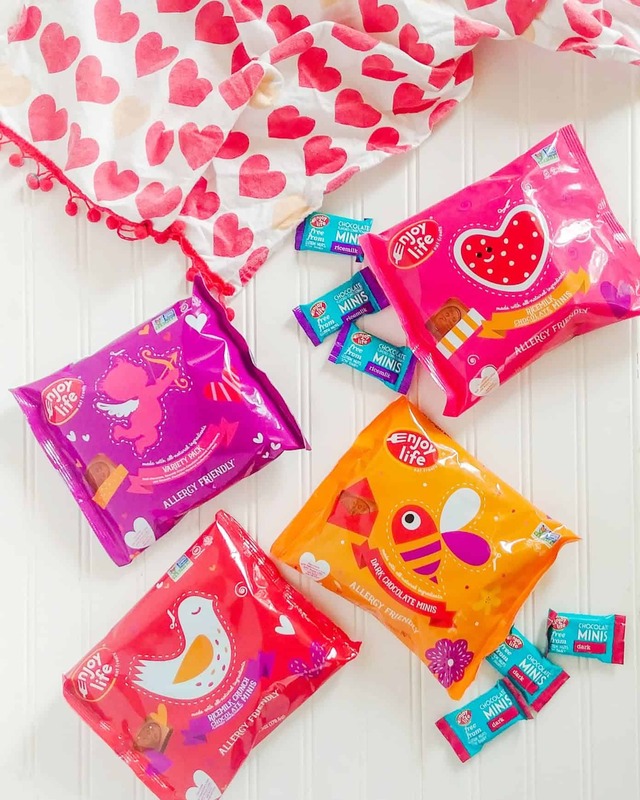 Before Valentine’s Day, you can stock up on Enjoy Life’s Valentine’s Minis and get 15% off using “BEMINE15“. While I used the Dark Chocolate Minis in this recipe, the Ricemilk Crunch Chocolate Minis are my favorite for snacking.